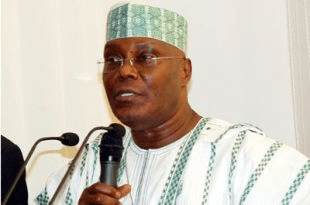 Abuja, Nigeria, 07 November, 2017: Former Vice President of Nigeria, Atiku Abubakar, has condemned the murder of British missionary, Ian Squire, by kidnappers in Delta State. In a statement released by his media office in Abuja, the Waziri Adamawa described as horrific and abominable, the news of Mr. Squire’s death after three other aid workers who were kidnapped with him were released. "It is so sad and shocking that a man who left his home country to come to a remote village in Nigeria to perform cataract surgeries and provide free medical aid for other eye conditions could have been so brutally rewarded for his kindness and selfless service," Atiku said. The former Vice President added that Nigerians had many lessons to learn from Mr. Squire, who was willing to serve a people who were neither from his part of the world nor from his race. "That is the kind of selfless service for which Nigerians are crying out," he said. "We need people who are willing to give their best to all peoples, irrespective of whether they belong to the same group or clan." The Waziri Adamawa also commiserated with the family of Mr. Squire and with the government of the United Kingdom. He prayed that they would receive comfort from knowing that the work Mr. Squire did was a legacy that would definitely live on despite his untimely death.